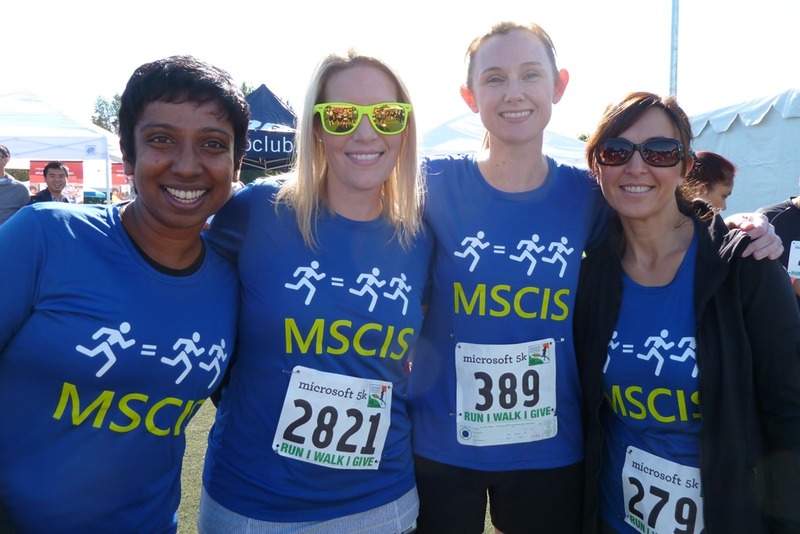 Join more than 4.200 Microsoft employees, friends and family and kick off Microsoft's annual Giving Campaign at the MS5K run/walk on Friday, October 5. Your participation will help raise over $600,000 in support of the Crohn’s & Colitis Foundation, KEXP and Bellevue Boys & Girls Club. Unfortunately, our VIP registration has sold out! Don't worry, you can still register to participate as an individual runner/walker on the day of the event (Friday, Oct 5) beginning at 10 am on the Main Sports Fields. There are a limited number of timed registrations available, so if you want to be eligible for awards, we encourage you to arrive early. Registration on the day of the event is $65 and we accept credit card, cash and checks. Online registration is now closed. Don’t worry! You can still register on the day of the event (Friday, Oct 5) beginning at 10 am on the Main Sports Fields. There are a limited number of timed registrations available, so if you want to be eligible for awards, we encourage you to arrive early.